For many of us the closest we can get to the back woods for a camping excursion is an area state park or camp ground. So, odds are you are never that far from your vehicle. If you are camping within sight of your pick up then Rightline Gear has a tent you absolutely have to check out. Forget sleeping with a rock in your back, or waking up in a puddle, truck camping solves so many issues. 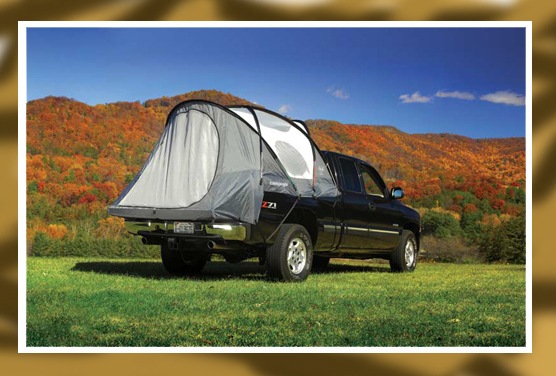 The floorless design of the truck tent means you can leave all your gear in the bed of the truck and pitch the tent right over it. Incredible headroom allows you to stand up while getting dressed inside. "Sky view" vent provides air flow and a real sleeping under the stars experience. Color coded poles and pockets for quick and easy set up. A sleeve for trucks with sliding rear windows allows access to the cab and the climate controls inside. 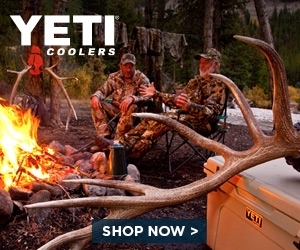 Trying to get the "less outdoorsy" members of you family to go camping with you? This is the ticket. This is camping, as comfy as it gets.